Many farmers’ sons and daughters in the Netherlands no longer want to take over the farms of their parents. They see that farming is a life of hard work, lots of financial worries and little appreciation from society. They also see that the countryside is emptying and that choosing for farming is to choose for a life of isolation. Or so it seems. 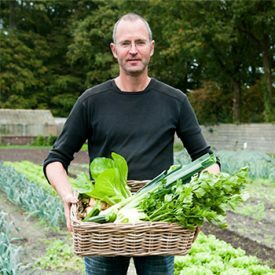 In the last decade a movement of new farmers has emerged in the Netherlands. They circumvent retailers, banks and other actors that in the food chain that put financial pressure on farmers. And create new, local markets that allow them to produce in an agroecological way. They also turn isolated areas into hotspots of culture and biodiversity. People come not only for the vegetables but also to enjoy the peace and beauty of the place. They come to enjoy the various flowers that colour the farm and admire a restored greenhouse that was built in 1900. Luuk: “Next to cultivating organic vegetables we want the farm to be a place where visitors, volunteers and people passing by feel welcome.” The farm is also a place of work and learning. Luuk works with about fifteen volunteers. Some of them do this as part of an internship for their studies, others are form the neighbourhood. They help with applying manure, planting, weeding, harvesting but also with making decisions on the farm. With two interns Luuk has for instance made changes to the cultivation plan. 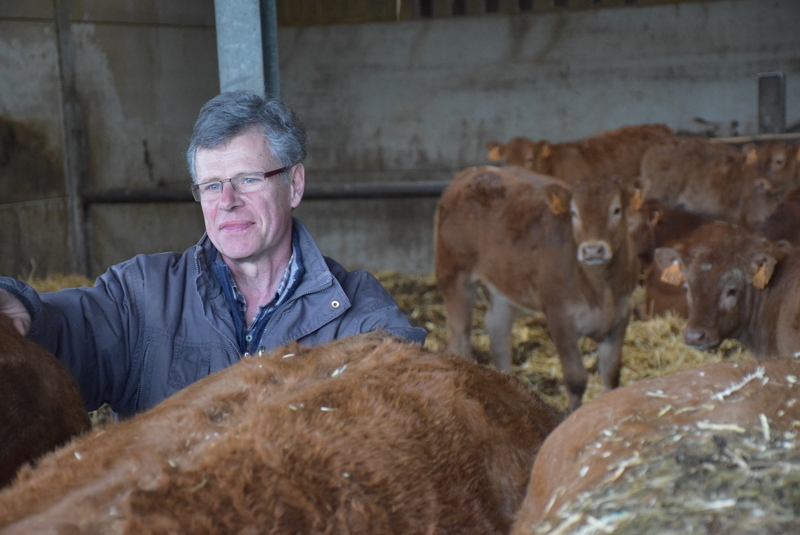 The case of Luuk illustrates how new farmers are revitalising rural areas in the Netherlands. Creating places that produce not only diverse, healthy and sustainable food but that also produce biodiversity, social cohesion, beautiful landscapes and education. This text is based on: Leonardo van den Berg and Maria Alice Mendonça (2018). Bruisend leven op de tuinderij. Nieuwe Markten: Delen in de voedselketen, a publication by Toekomstboeren, the association of Dutch peasant farmers and a members of La Via Campesina. Anne-Marie and Jacques Faux-Vandeputte: “St Michel farm was built on the grounds of a former inn by the end of the 18th century. Since 1745, the place has been owned by our family. We have been living here since 1980. At that time, the farm was mainly oriented towards traditional crops (cereals, sugar beets, potatoes). In the nineties we decided to switch to keeping livestock (limousine cattle and farm poultry – chickens, turkeys, ducks) while striving for a good balance between meadows, cultures and animals. Contact: Ferme Saint-Michel, Anne-Marie and Jacques Faux-Vandeputte, www.fermesaintmichel.be/welcome. Vassilis Gkisakis: “I am an agronomist and farmer at a small scale olive farm, located in a hilly zone of central Greece (Thessaly). My family has owned the farm for 4 generations. My very first steps were, literally, among the olive trees, which has undoubtedly contributed to my decision to become an agronomist. The productivity of our table olives is remarkably high, despite the low input approach; peak harvests of approximately 2,5 tons of olive/ha has been reached, although alternate bearing is a frequent phenomenon in olive production. We store and process the olives in large tanks, treating them with water and salt in order for them to become edible. 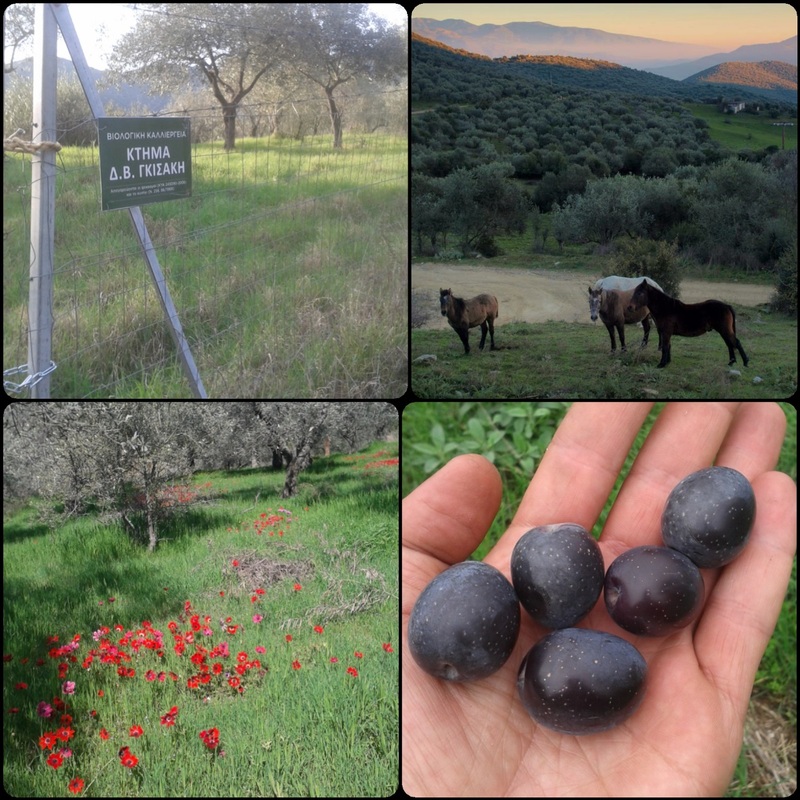 The main challenge for Greek olive producers and the rural sector as a whole will be to fully exploit the potential that high levels of local agricultural knowledge and a biodiversity-based agriculture can offer, together with socio-economic arrangements such as short, local and independent market chains and cooperatives. The agroecological approach, although relatively new to the Greek rural sector, allows for the combination of traditional farmer practices with recent innovations, and so help meet sustainability and environmental goals of the future.